There’s a rarity among rarities listed on German eBay right now- a Heinkel with an all metal roof. This is the second one I’ve ever seen. 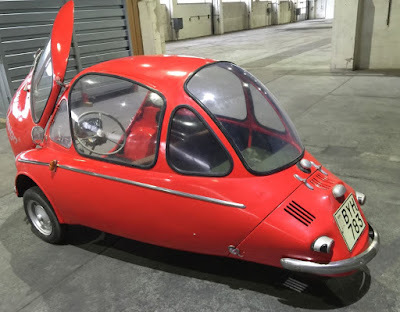 I thought the first one was some sort of early prototype. 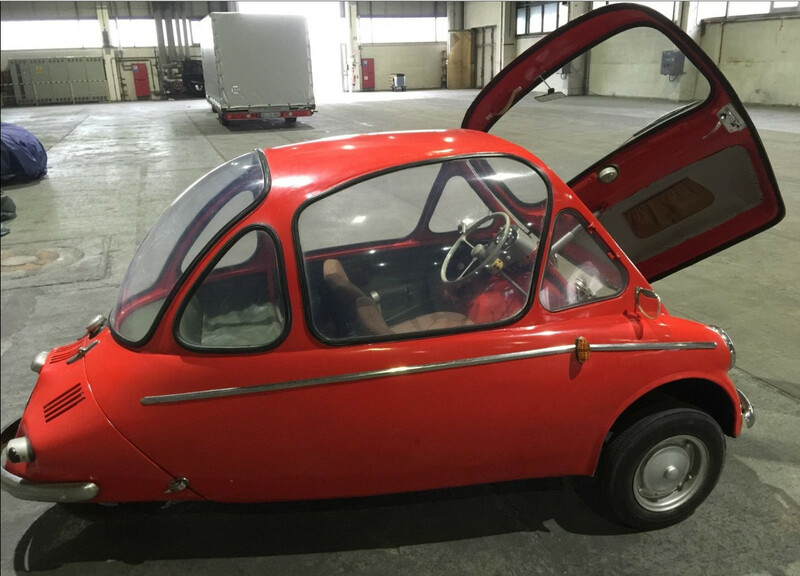 This one appears to be from the very end of the English production run, but there are so many odd things about it who really knows. The all -metal roof gives the car a very streamlined look. In early Heinkel literature (Isettas too) the sunroof was touted as a safety feature- another way to get out of the car if the door was immobilized. As a practical matter the sunroof provides another important function- ventilation. Heinkels can be stiflingly hot to ride in during the summer, and the sunroof and wide-opening vent windows provide the only relief. This car has neither. 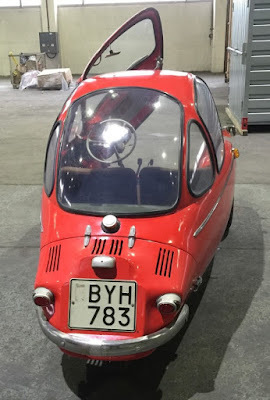 This would be a great summer car north of the Arctic Circle. 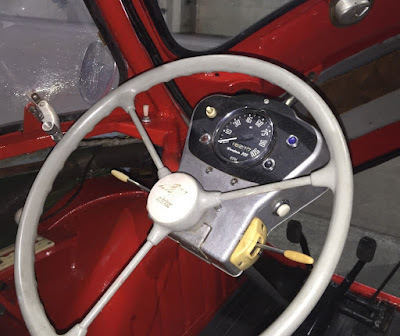 The interior has a Trojan dashboard but a Heinkel steering wheel center. The seats have covers or have been reupholstered with non-original fabric. It also has an early defroster system where the door has built in vents. All in all this is an interesting car and definitely worth bidding on. 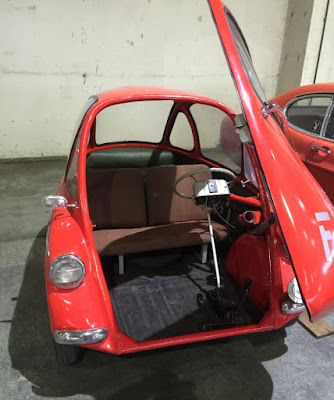 It appears to be all there and despite the oddities may be a good restoration candidate. 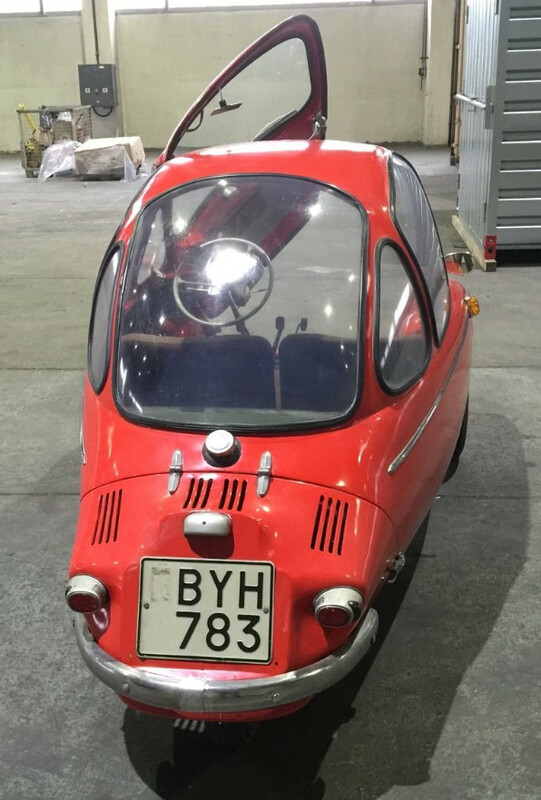 Here's the link to the auction: http://www.ebay.de/itm/Heinkel-Trojan-Messerschmitt-BMW-Isetta-/231911487768?